Give us a call on 1300 655 121 or send us an inquiry via our online form. 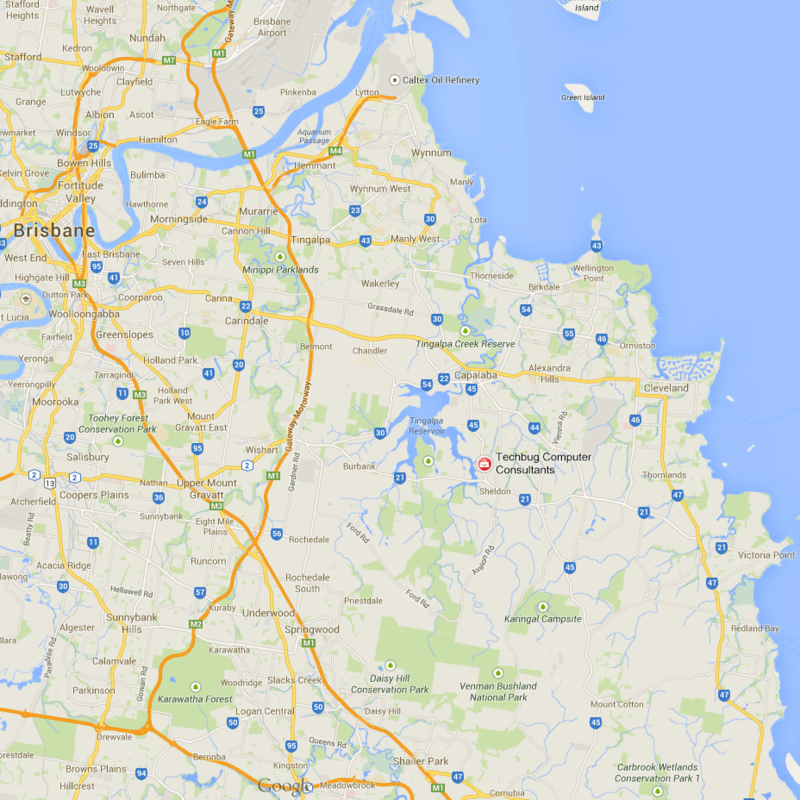 We offer onsite services to Redlands, Logan through to Brisbane and surrounding suburbs. Please see the service area map. We now offer remote support to customers Australia Wide. Support center is based in Brisbane. When dealing with your technology, it is important to consider who you are giving access to. You are assured of Peace of mind when dealing with TechBug Services.